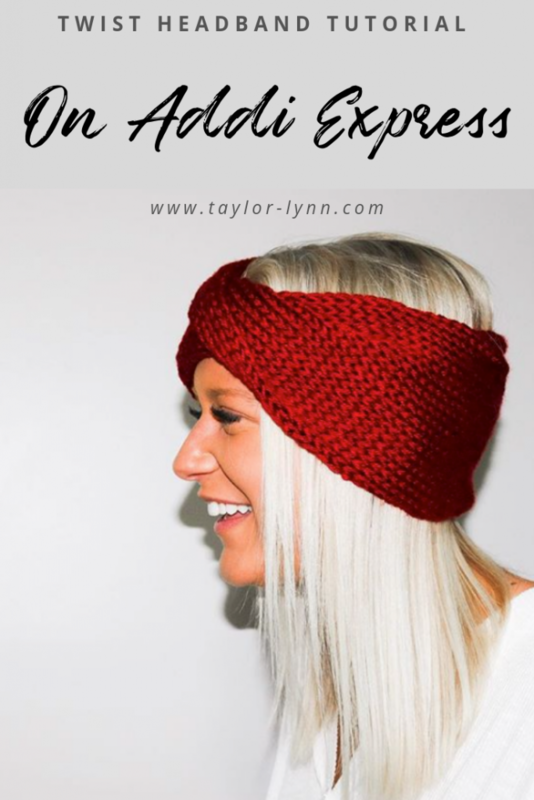 My twist knit headband has been my most requested Addi Express tutorial to date. They are items that always do well for me at markets and something I find myself wearing often. You can make them in so many yarns and colors and they will always looks great. These are fairly simple to make even for beginners. I love seeing the items that you babes make with my patterns, so tag me on Instagram in the pictures you share of them. I love sharing your makes on my page and in my stories! If you have any questions or comments leave them below in the comments section and I will do my best to answer all of them. *This post may contain affiliate links. The links provide me with a small percentage of commission but do not cost you anything extra. 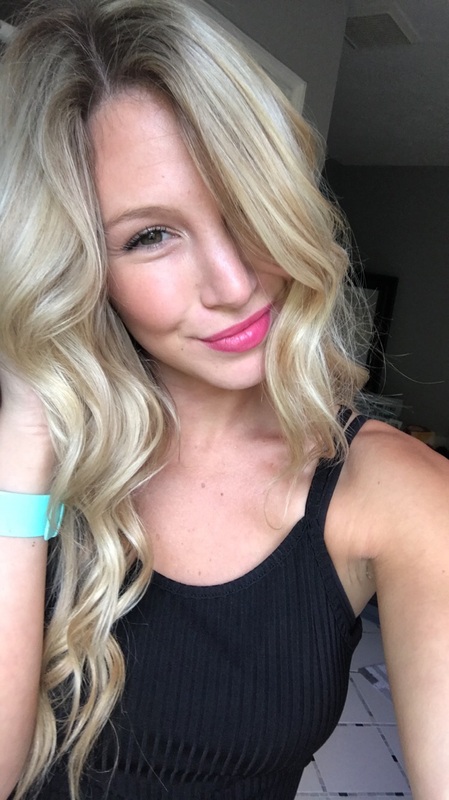 Using these links helps show support for my blog and allows me to be able to continue to post great content for you guys! I immensely appreciate the support! I do not promote anything that I haven’t used and love myself because integrity is key for us keeping our relationship happy <3 Thanks ya’ll! 1 skein Caron Simply Soft in your choice of color. You can use another yarn of similar weight, but just be aware that some yarns may be a bit more finicky than others. I personally have found Caron Simply Soft to be the easiest on my machine plus it is machine washable which is always a nice plus for wearables. A couple yards of scrap yarn in a contrasting color. 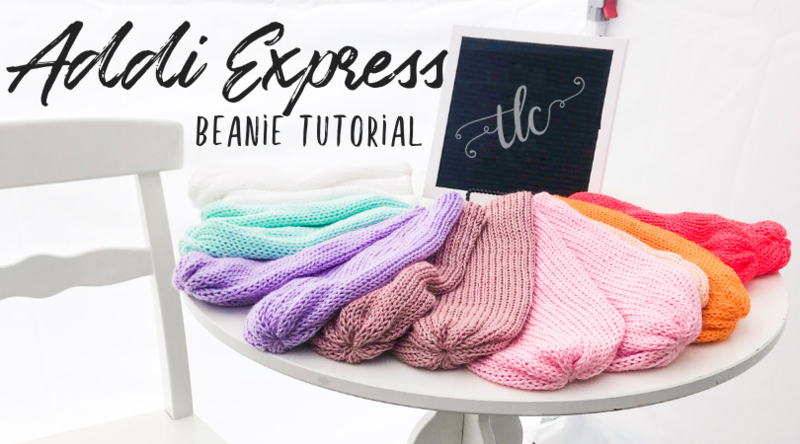 If you like this Addi Express tutorial, be sure to check out my BonFire Beanie tutorial. It is a great beginner project if you are new to knitting machines. The video goes through all the steps for using the Addi Express and completing the pattern. Below I have listed out all the steps for you as well. Happy making loves. Leaving a long tail (60 inches) begin with your main yarn. Make 75 rows with this yarn. Do not cut yarn, set skein in middle of project then using waste yarn make 5 more rows. Now close the ends of the tube by stitching them together with single crochets or slip stitches. (minute marker 8:30 in the video). Lay tube flat. Turn one end completely over creating a twist. Seam the ends together using slip stitches. (17:00 minute marker). Weave in the ends. 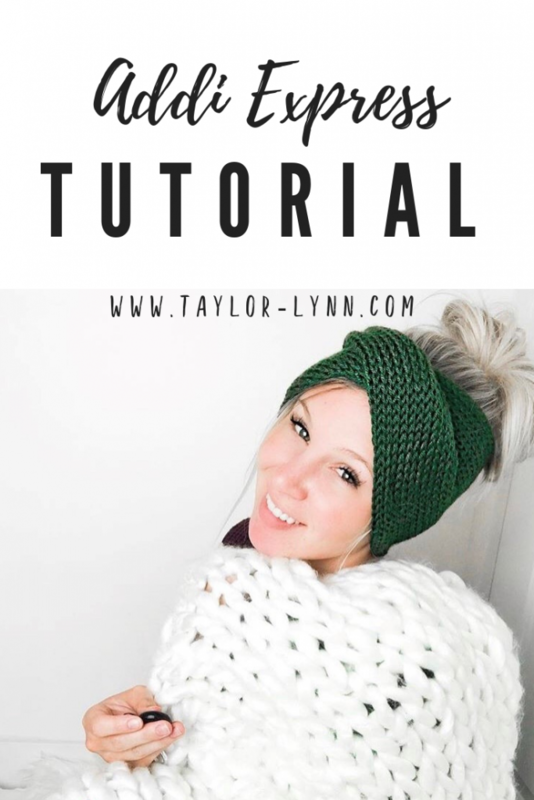 Now your twist knit headband is done. Now that your headbands are done, how will you style them? Will you wear them with your hair down and slide it over like a crown? Will you wear it your hair up in a bun with it? Will you make it in one color? Or many colors?